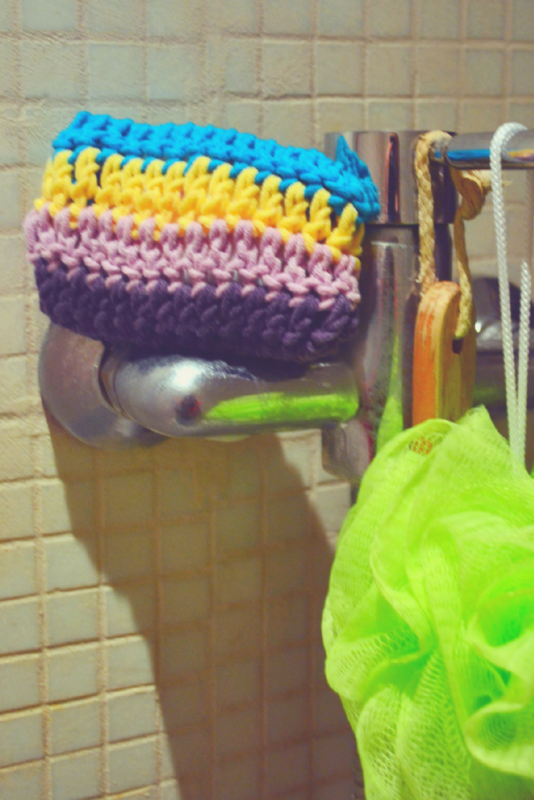 When I was a crochet newbie, I was always looking for quick and easy crochet patterns. I wanted to make pretty things, but also see results quickly. I made many scarves, but they took me forever. Then I moved on to fingerless gloves (to go with the scarves), but those involved increasing and decreasing and long story short, to this day I wear a pair where the left glove is quite a bit wider than the right one. 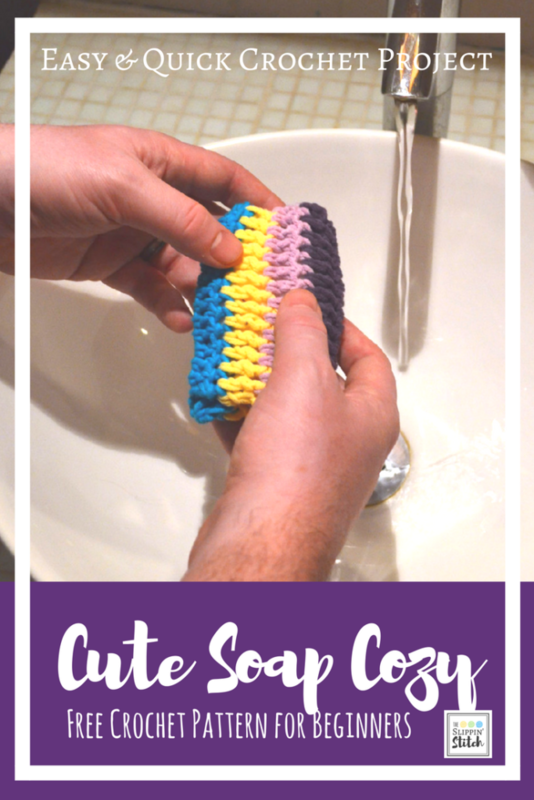 So if you too are looking for a quick and easy crochet project that results in something pretty and useful, I can highly recommend this cute soap cozy. Disclaimer: This post includes affiliate links, which means that, at no extra cost to you, I receive a small commissionshould you click on the link and decide to make a purchase. My cosy turned out to be around 6cm x 10cm which is the perfect size for a Dove soap bar. If your favourite soap has a different size, you will have to adapt the pattern accordingly. double crochet in the second chain from the hook. double crochet in each chain all the way to the end. you’ll have a total of 32 double crochets. change colour. chain 2, double crochet in the last stitch from your previous row, double crochet in each stitch all the way to the end (32 double crochets in total). change colour. Fold up one end of your rectangle leaving 4 stitches free as a flap. Single crochet the front and back together, which means you insert your hook first through the top of the front stitch, then through the back, yarn over, pull through both layers. You now have 2 loops on your hook. Yarn over again and pull through both loops to complete the single crochet. Turn inside out, insert soap, and get ready to lather up!